With cooler temperatures in the Valley, our thoughts have been on heating. While we certainly aren’t suffering from the frigid temperatures of our friends in the North, we get chilly at times. While there are different heating systems which you can use to heat up your bathroom, many of them are expensive and/or inefficient. Among better-quality heating systems, one that is durable, efficient and quiet is the in-floor radiant heat system. 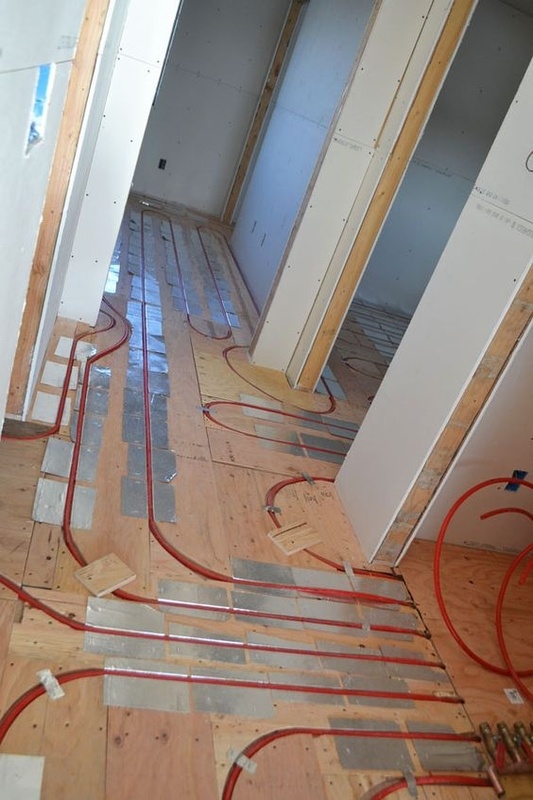 Recently, in-floor radiant heat systems have garnered interest among heating systems because of the various features that it offers. The benefits of using the in-floor heating systems are numerous. You could imagine the feel of warmth once you step into the bathroom without an idea of where it is coming from. It is quiet and keeps the temperature in the room stable, unlike a furnace, which is warm until it shuts off. The system is supplied in two basic ways: hot water or electric heating mats. Since the system is installed under the floor, it doesn’t take up space, a plus in a small room. Radiant heat is especially good for a bathroom because it’s truly a place where no one wants to be cold. Cost Effective: The in-floor radiant heat system is cost effective as it works while your thermostat is set at a very low temperature. You will feel warm even when the furnace isn’t on because the heat comes from the floor. Since heat rises, having heat ‘start’ at the floor means in-floor radiant heat is about 30% more efficient than forced heating. Quiet: Unlike most other heating systems, in-floor radiant heat system does not need a blower and as a result does not produce unnecessary noise. It warms up your bathroom quietly. Durability: In-floor heating systems can last for a very long period of time if properly maintained. If you maintain it properly, a radiant heating system can last 25 years. 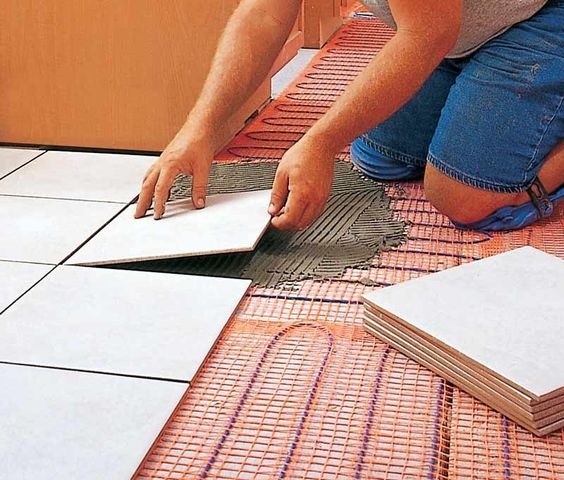 Easy to install: In-floor heating system in your bathroom is simple to retrofit. Does not occupy space: Unlike other heating systems, the in-floor heating system occupies zero space as it is installed under the floor. If you are contemplating the system that will not take up the small space you have in your bathroom, then the best option for you is the in-floor heating system. Safe and comfortable: Once it is installed, the in-floor heating system is very safe to use and comfortable. Warm feet keep a body much warmer than a warm body with cold feet, it’s a constant warmth, and there are no cold-air pockets. Versatile and reliable: In-floor heating system is very reliable and versatile. They can go well with any surface be it marble, slate, carpet, hardwood, and tile. Other rooms can have in-floor radiant heat systems, as well, although the bathroom is the most popular option.